Mendota's DXV35 DT4 combines the classic design of the popular DXV35 fireplace with the convenience and environmentally friendly features of the BurnGreen™ system. 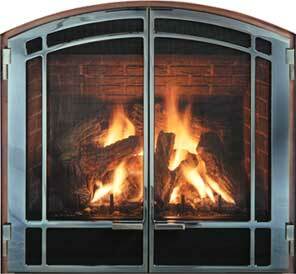 Updated features include FireLight accent lighting, premium fiber log set and an optional remote control. The DXV35 DT4 gas log fire has two tube burners with heat output of 33,000 to 10,000 BTUH. 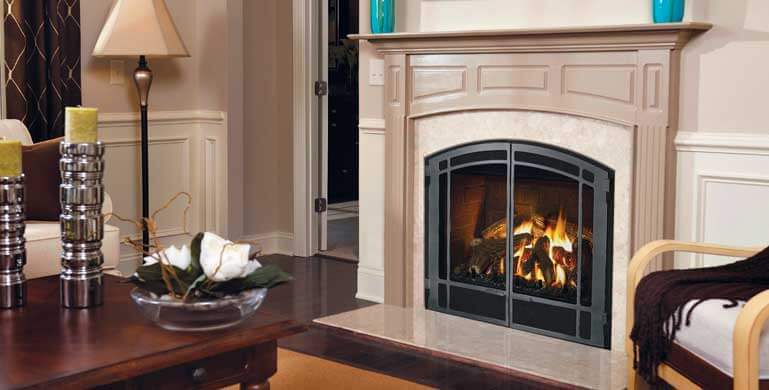 Popular and versatile, DXV35 direct vent gas fireplaces are the perfect size for most rooms. Their space saving 15½" deep firebox and direct vent/corner vent capability make them ideal for bedrooms, dining rooms and smaller rooms in your home. The DXV35 TimberFire gas log fire offers a 2-level burner with moderate heat output of 33,000 to 16,500 BTUH. The large DXV42 direct vent gas fireplace is designed for family rooms, room additions, and any large room where family and friends gather. Its slim 15½" deep firebox saves valuable floor space and is ideal for installations in bookshelves, entertainment centers and cabinetry walls. Offers infinite flame/heat adjustment from 40,000 to 27,000 BTUH. The DXV45 DT4 direct vent gas fireplace has the pleasing dimensions of a large, traditional fireplace and an amazing heat output range of 45,000 to 10,000 BTUH. The 21" deep firebox is filled with rustic ranch logs. At the push of a button, you can have anything from a roaring, flame-filled fireplace to the romantic, smoldering logs and glowing coals of a late night campfire. The massive DXV60 direct vent gas fireplace is designed for today's large homes with great rooms that would dwarf a standard gas fireplace. It features a huge 26" x 40" fireview. The DXV60 combines a unique set of rugged, weathered logs with a dramatic 60,000 to 10,000 BTUH 3-level gas burner. It creates a truly spectacular log fire that will add excitement to your room.